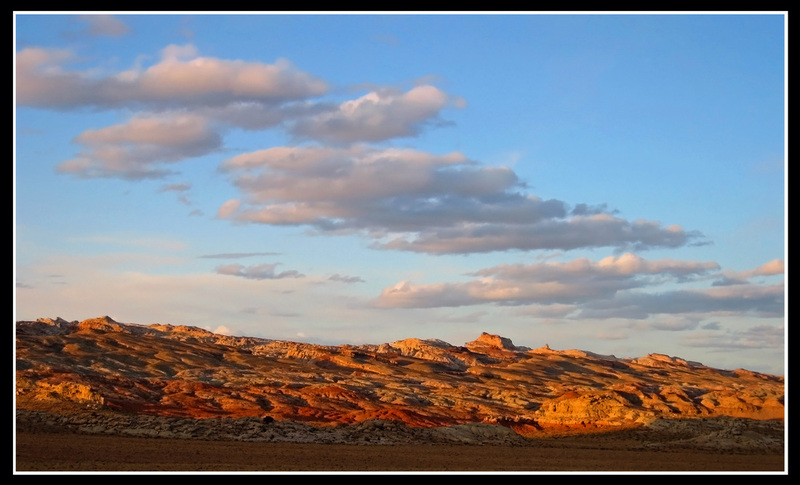 The San Rafael Swell is a very large anticline located in the very center of Utah. I-70 cuts right through the center of the Swell and climbs up and over it. 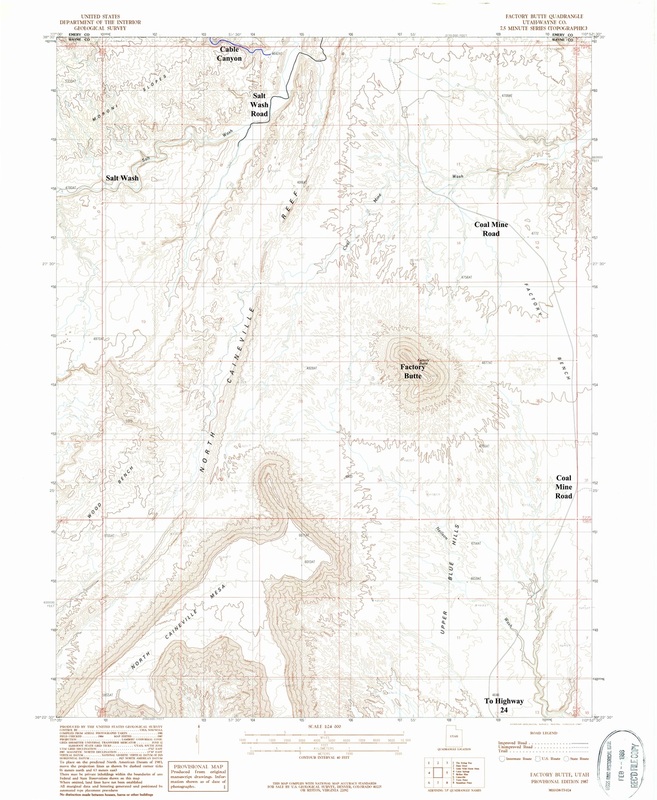 The town of Green River in Utah sits along the east side and the tiny town of Emery on the west. In between the swell extends 70 miles north to south and 40 miles east to west and forms a large kidney shaped fold in the Earth. One giant cliff or tower of colorful sandstone after another is what the Swell is all about and hidden deep within are many great slot canyons waiting to be explored. 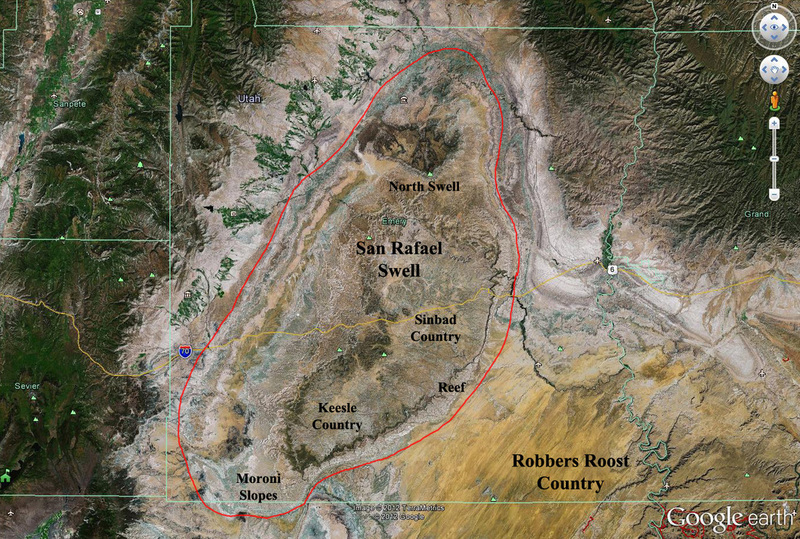 Most of the canyons in the Swell are located in the San Rafael Reef, a huge long line of steeply dipping Navajo and Wingate Sandstone towers stretching along the eastern and southern flank of the Swell. The rocks on this side dip upwards of 70 degrees in some places while the same rock units on the west side dip at only 20 degrees. The geology of this area is very unique. Just taking a look at the Swell on Google Earth (See left) you can see huge rings of different colors wrapping around the center of the swell. A good way to imagine how this formed is to think of a thick, flat circle of silly putty with 10 different layers each having a different color. The colored layers represent different rock layers found within the Earth. Now imagine a spherical object pushing up from below and "bulging" the rock layers in the center while at the same time the top of the bulge continually gets cut off (to simulate erosion). What you will have is the layers originally at the bottom are exposed in the center of the bulge and the remaining layers all dip outward away from the center exposed in order as you travel further from the center. 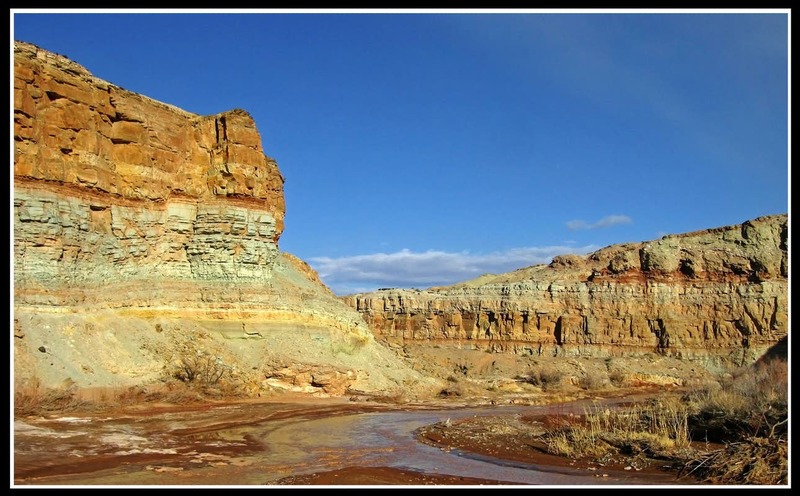 This page has a great description about the geology of the San Rafael Swell. 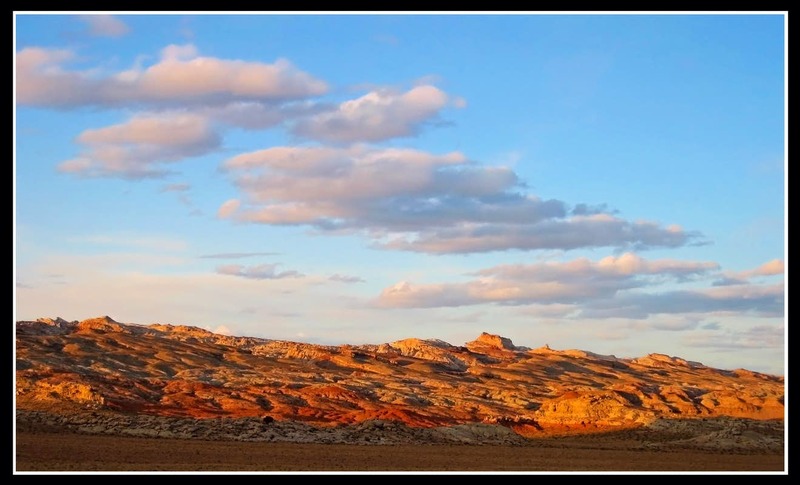 The San Rafael Swell lies completely on BLM Lands and you are free to go anywhere without any red tape. The Swell can be divided into a few distinct zones. First the reef itself (See left) at the eastern margin of the Swell holds much of the nice slot canyons in the area however since the reef is so narrow, most of the canyons that cut through are short. Where the reef is near vertical in dip angle the canyons are so short you may be able to walk through them in 10 minutes. Most of the canyons take about an hour or so to hike through though. See below for descriptions of the canyons cutting the reef itself. The area at the very southern end of the Swell is known as the Moroni Slopes. Salt Wash which is accessed by a dirt road passing Factory Butte marks the southern terminus of the Swell. 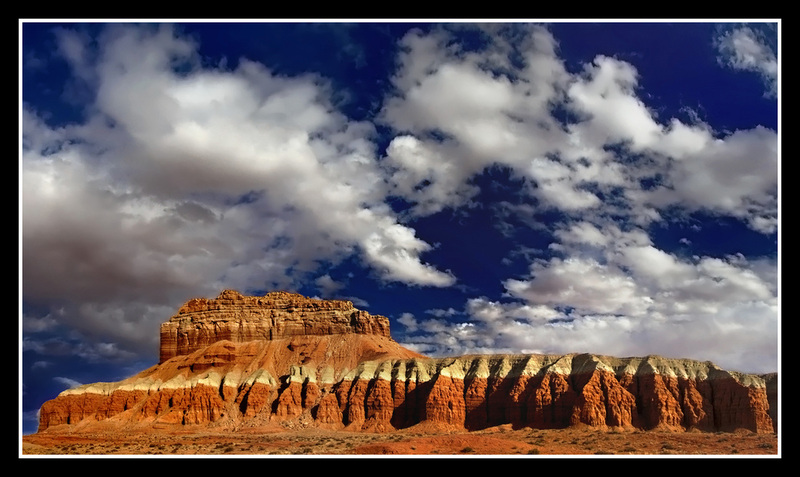 South of Salt Wash is the Capitol Reef National Park area. 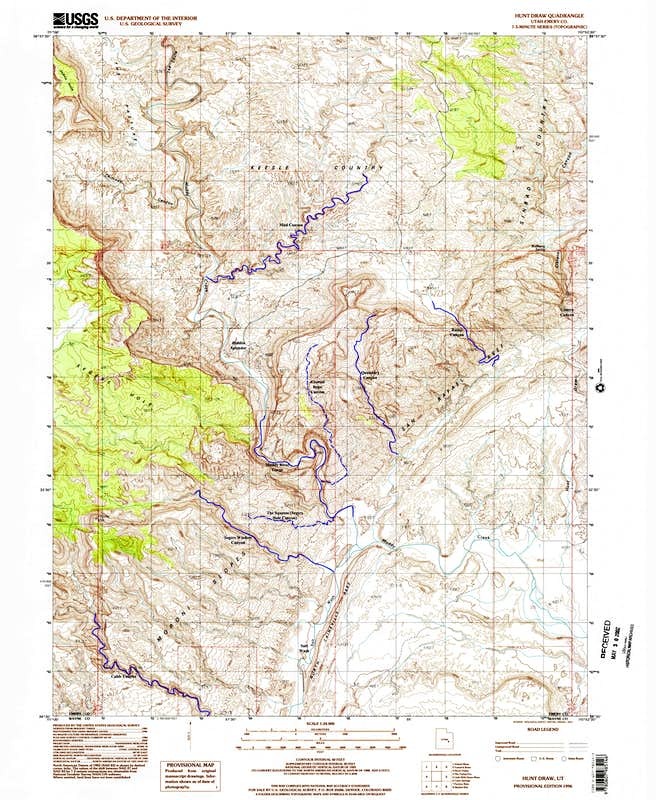 The area just north of the Moroni Slopes is the Keesle Country which is dominated by a lower elevation maze of red rock canyons and primitive desert. The Hidden Splendor Mine sits in the heart of the Keesle Country. Forther north along I-70 right in the middle of the Swell is Sinbad Country which holds two of the best canyons in the Swell, Upper and Lower Black Box Canyons which flow with water year round. 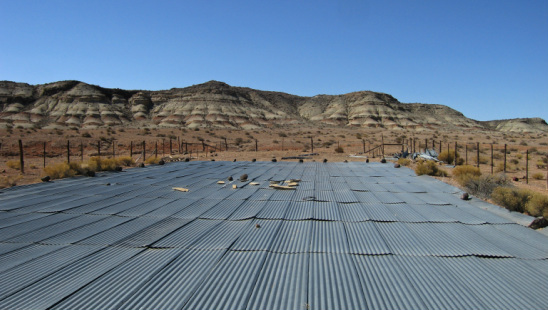 This area is higher in elevation and supports more juniper and scrub life and has more wide open desert. Furthest north is the North Swell region which is more barren and open desert. Cross section of the San Rafael Swell anticline with the different rock layers shown. Eardley Canyon - A good technical canyon with some keeper type potholes and lots of swimming. Often takes two days to complete. Iron Wash - Moderate canyon that always involves lots of swimming. Crack and Chute Canyons - Simple walk through slots just south of the Temple Mountain Road. Making a loop will be a long 20 mile day though. Accessed by the "Behind the Reef Road" which heads west off the Temple Mountain Road. 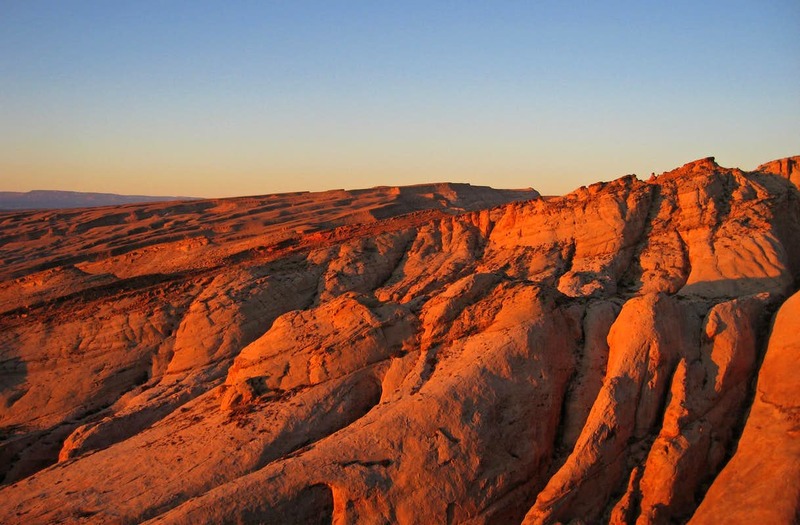 Little Wild Horse and Bell Canyons - The most popular ones in the area as it's a nice loop day hike seeing both canyons. Great photogenic narrows in both canyons. Accessed by the well groomed Wild Horse Road near Goblin Valley State Park. Ding and Dang Canyons - These two canyons are also popular and make a great loop hike although more difficult that LWH and Bell. Going up Ding and down Dang is usually how people do these ones because a couple 15 foot drops with permanent hand-lines are found in Dang Canyon. Accessed by driving the Wild Horse Road further west past the LWH and Bell Trailhead. Ramp Canyon - Short but very scenic and remote canyon with one 5.4 climbing move required to pass a huge chalkstone. Typically combined with Quandary or Knotted Rope Canyon. Best to ascend this canyon. Quandary Canyon - Nice technical canyon at the southern end of the reef. Direct route requires keeper pothole escape skills and gear. Bypass route typically done. Knotted Rope Canyon - Technical Canyon just west of Quandary. Many rappels. 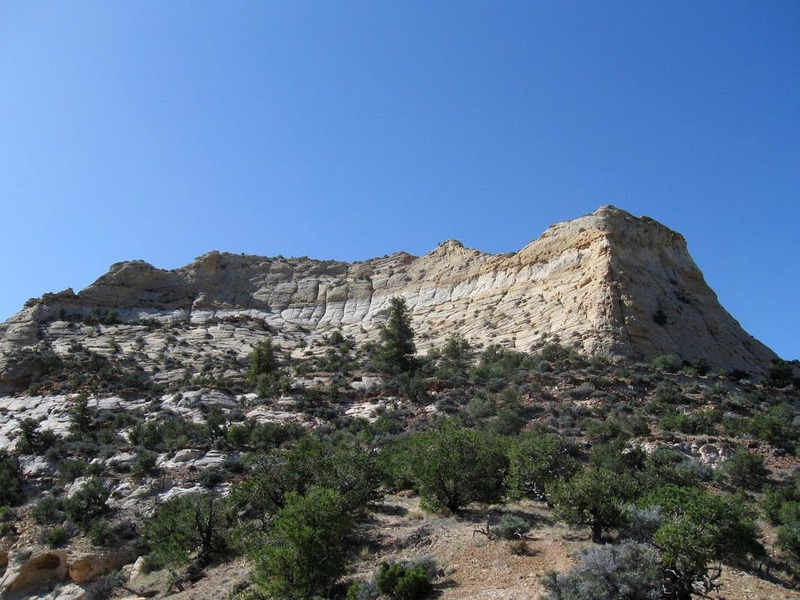 The best way to access the Moroni Slopes area is by taking Exit 99 off I-70 right before the purple colored Mesa Butte and heading south on CO Road 912 (Blue Road) and continuing on a maze of long dirt roads that bring you past Cedar Mountain and the Fryingpan. Eventually (After over 40 miles!) 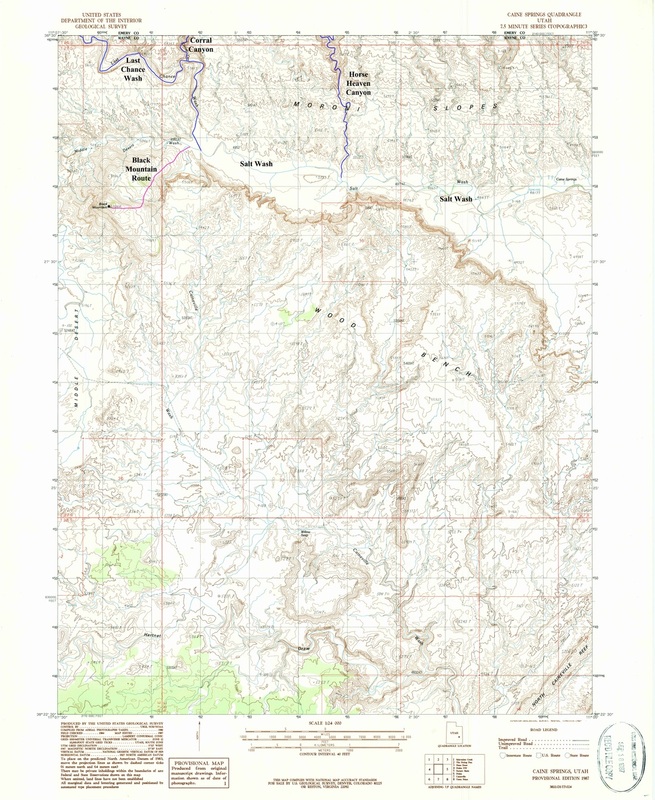 you will reach the Fryingpan Catchment which is the kickoff point for Corral and Horse Heaven Canyons. 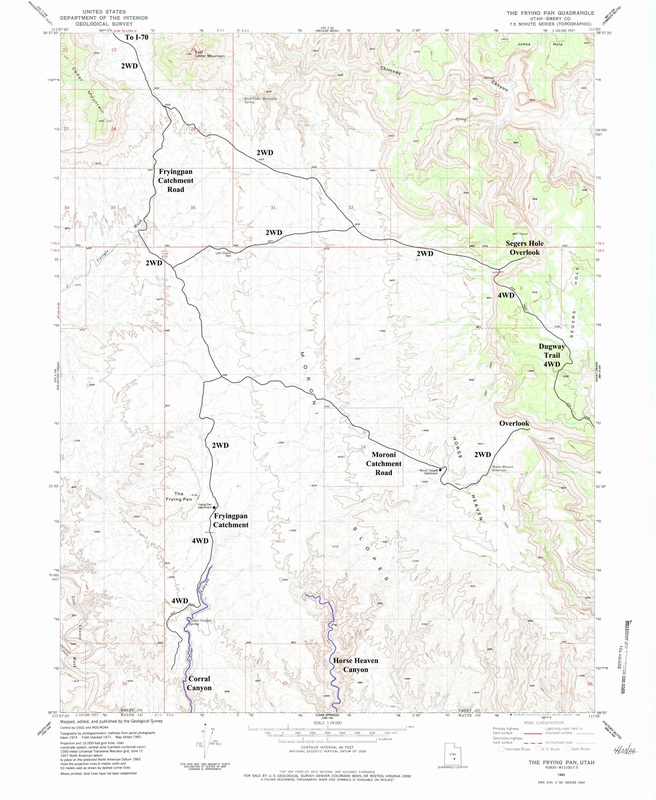 Another option is to take Coal Mine Road heading north from Highway 24 just west of Hanksville. This road passes right to the east of Factory Butte and comes to an intersection at the top of a hill with superb views of the Moroni Slopes. Heading left takes you down the hill towards Salt Wash where you would start for Cable Canyon and heading right takes you down to the Muddy Creek ford where you can cross the creek (4WD Only) and continue out on the Wild Horse Road to Goblin Valley where you'll pass the Ding/Dang and Little Wild Horse/Bell Canyon Trailheads. The canyons draining the Moroni Slopes are all very remote and wild. They are described below from west to east. Hopefully at some point I will have detailed trip reports for all these canyons. 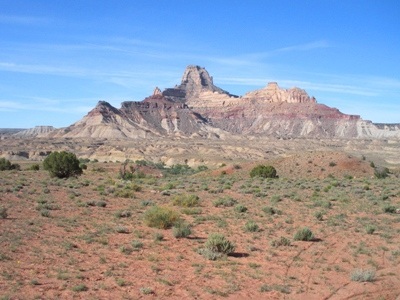 Salt Wash marks the southern end of the Moroni Slopes and all the San Rafael Swell. All canyons draining the Moroni Slopes drain into Salt Wash. This can easily be hiked through and is a pretty wide drainage that rarely flows. Caine Spring and a nice arch are found here though. 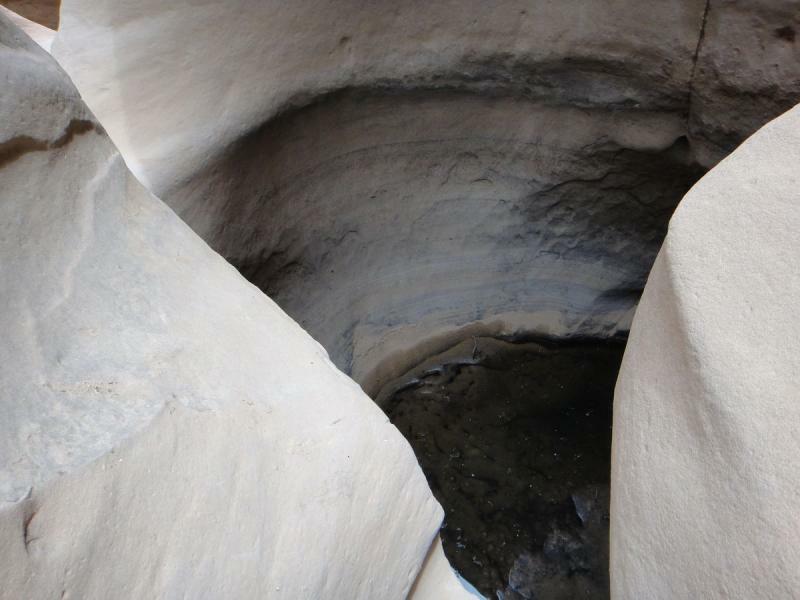 Most slot canyons will involve hiking in Salt Wash at some point. This canyon starts at the Fryingpan Catchment where just to the south you can drop into the Corral Canyon drainage. The canyon continues south where you will run into 100 foot rappels, large keeper type potholes and various smaller drops to descend. The canyon dumps you into Last Chance Wash (Shown at left) where you turn right and walk a few minutes up the wash to find the scramble back up and follow the west rim back to your car. Heading left down LCW takes you towards Salt Wash and Black Mountain. This canyon is the big drainage just east of Corral Canyon. It is pretty simple but does have some decent drops to descend/jump down. From the Fryingpan Catchment walk southeast and enter the drainage. Continue down its easy wash until a 100 foot drop. Climb up to the right over a hill and walk back down to the canyon floor below the cliff. Continue down canyon until it dumps into Salt Wash. Some photogenic narrows and a few short drops are passed. This is a long canyon with many large potholes and lots of swimming. Stories of deathly tumbleweed bogs and gnarly 5th class downclimbs make this canyon even more exciting. This one is best approached from Salt Wash. Hike up along the rim first then drop into the canyon and descend. There are numerous obstacles to pass. 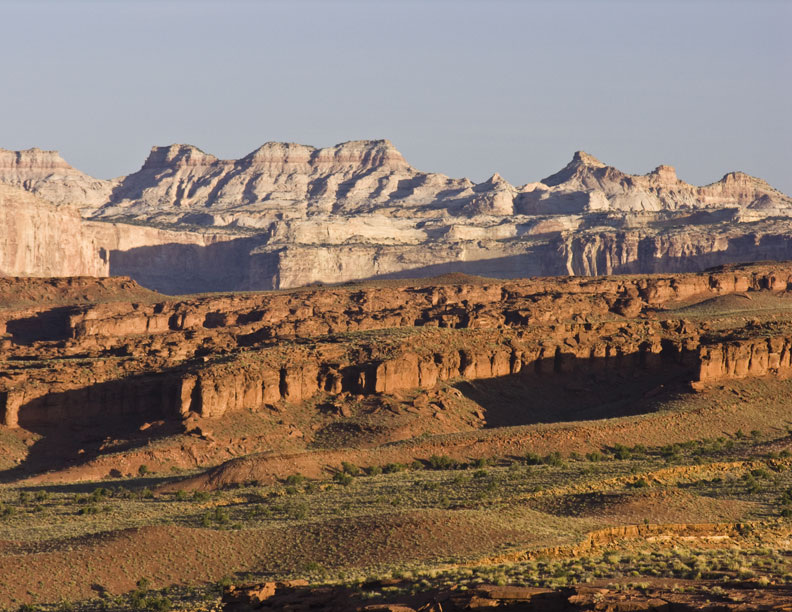 Since the mouth of the canyon is so close to the dirt road it is a good one to do in a day assuming you are efficient at canyoneering. This nice canyon isn't as technical as Cable but still has a beautiful final rappel through an arch into a keeper pothole. Start this Canyon at Hidden Splendor and hike through the Muddy River Gorge. At the end of the gorge, the mouth of both Segers Winder and Segers Hole canyons come in from the west. 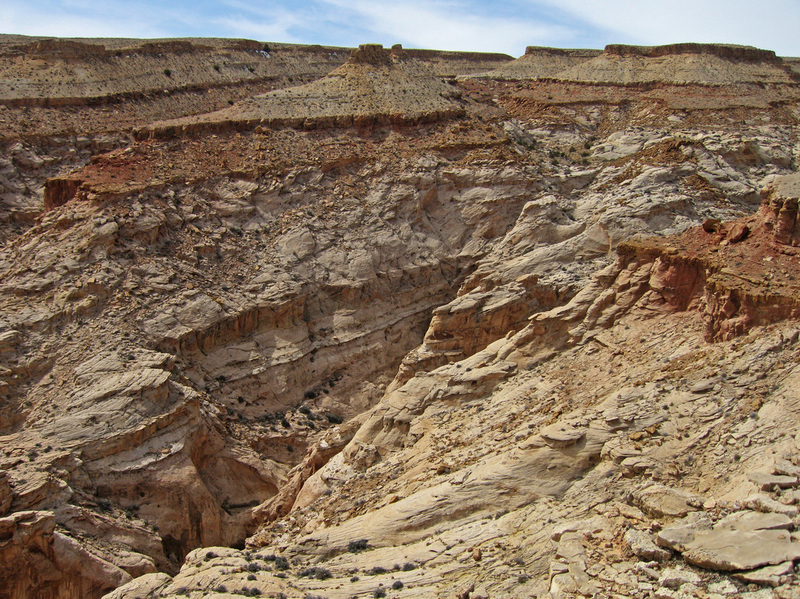 Also known as "The Squeeze" this is likely the most challenging canyon in the San Rafael Swell. Many potholes most of which are keepers along with nasty swimming and awkward 100 foot rappels all make this canyon very long, difficult and tiring. Add to that you must be very good at making deadman anchors and you've got yourself a slot canyon! 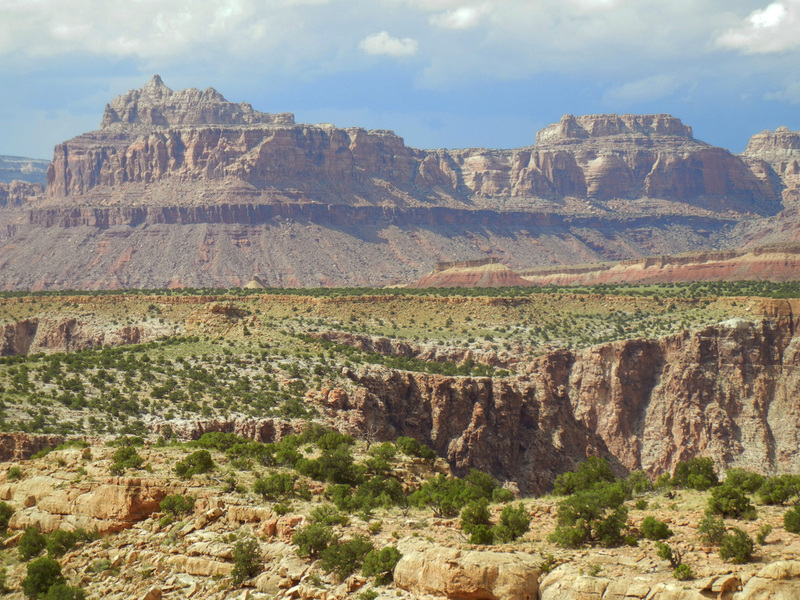 This area of the San Rafael Swell is not far from the Moroni Slopes. 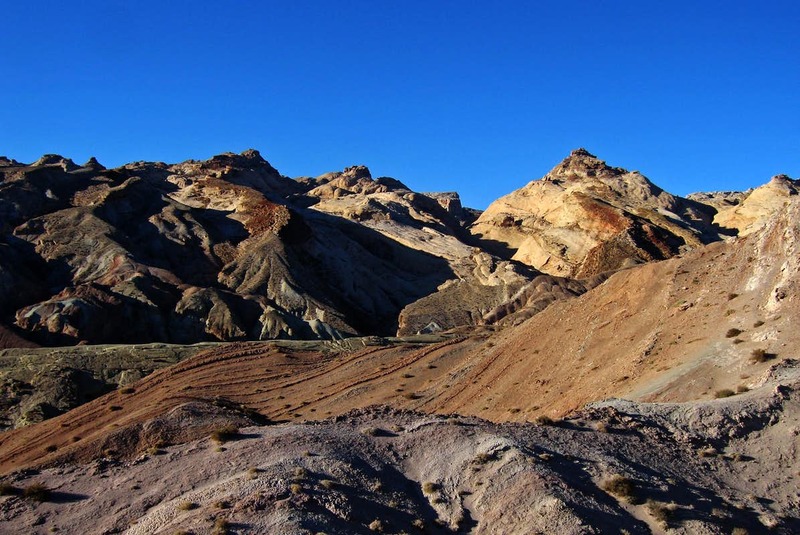 Located slightly to the north and east the best way to access this area is by driving to the Hidden Splendor Mine. 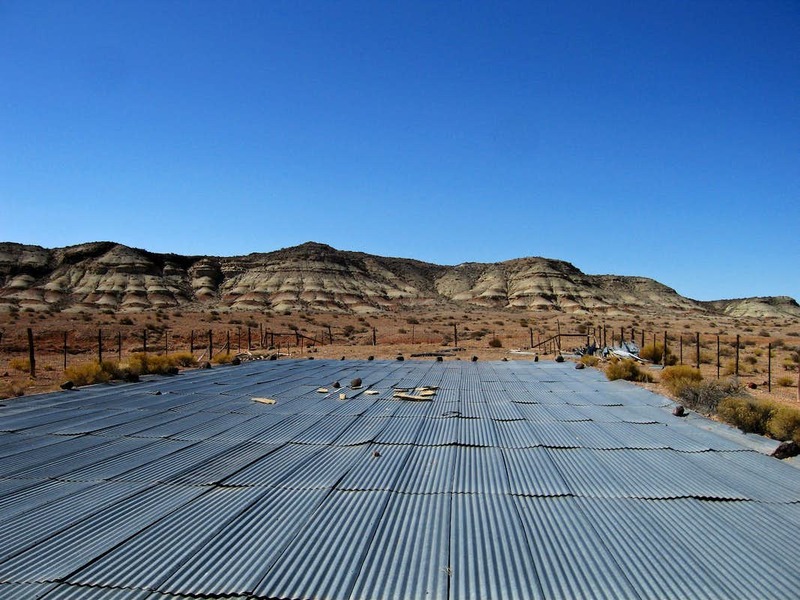 Here there is lots of room for open camping and sometimes you will see private planes landing at the airstrip here. Finding the old mine can be a challenge so I'll leave that a mystery. The area is littered with old mining debris but it doesn't detract too much from the raw beauty of the area. The deep red colored rocks found everywhere here is the Moenkopi Formation and it erodes into hundreds of small little washes and canyons. 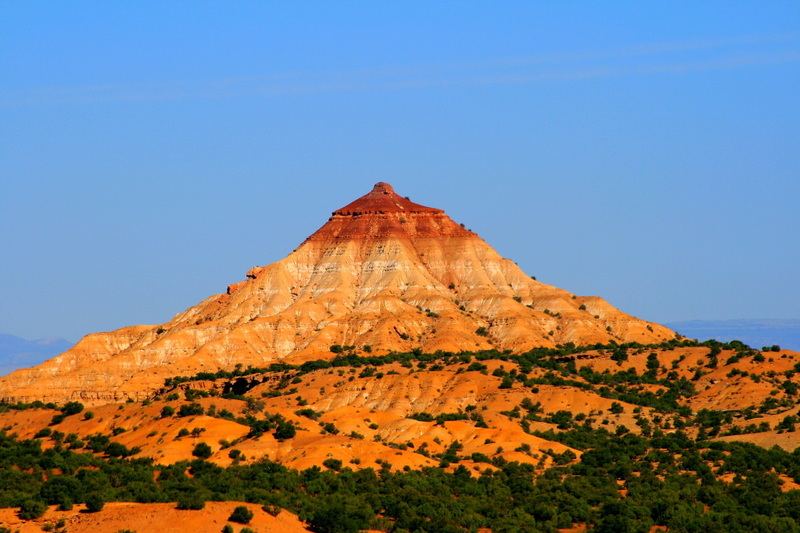 Getting to Hidden Splendor involves a long drive on rough dirt roads from I-70 off exit 131. Head south on Temple Mountain Road and at the junction with CO Road 1012 continue to the right (west). Don't take the Reds Canyon Loop towards the Tomsich Butte. The last 10 miles to Hidden Splendor are rougher but passable for cars. 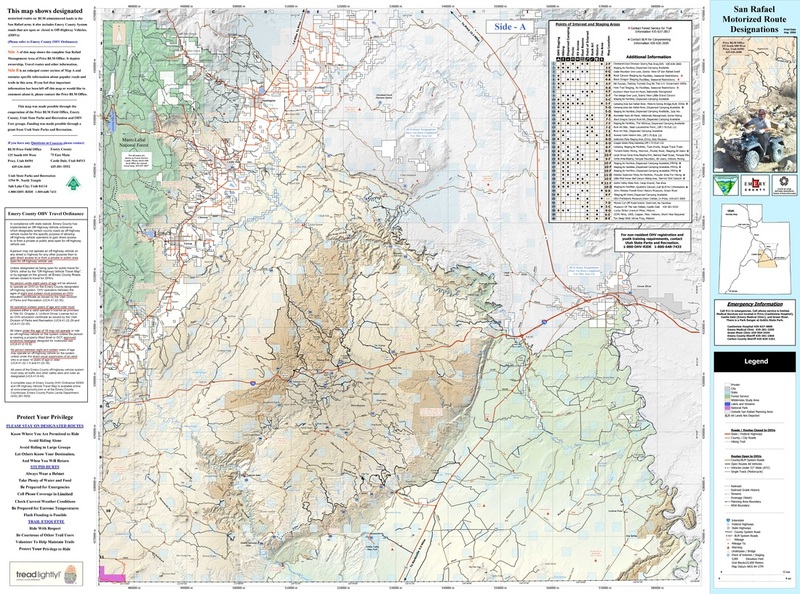 Map at upper right corner above shows this area. 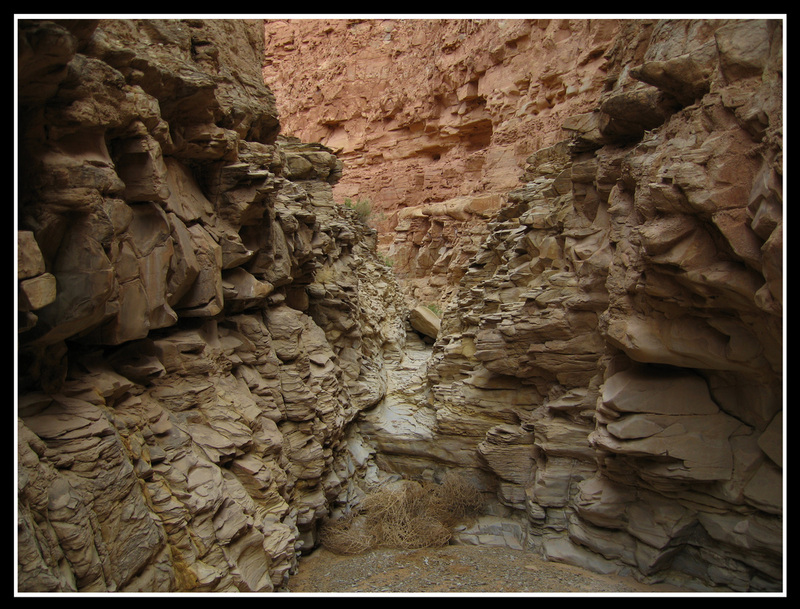 Mud Canyon - This short canyon is not technical and offers a nice hike through nice dark red colored rock walled narrows. You do have to wade across the Muddy River twice unless you do an out and back from the top near the Quandary Canyon side road. Most people spot a car or bike at the top of the canyon and start at Hidden Splendor. Muddy River Gorge - This is a stunning hike along the Muddy River where it cuts right through the Reef. Start at Hidden Splendor and walk along the creek and look up at the impressive walls above you. Return the same way. Sometimes it may be good to just walk through the ankle deep creek in waders the whole way. Quandary Canyon - Nice technical canyon at the southern end of the reef. Direct route requires keeper pothole escape skills and gear. Bypass route typically done. Start at the end of the 4WD spur road heading south off the Hidden Splendor Road. Hike up an old mining road to a blasted out notch in the Wingate cliffs. Drop down into Quandary Canyon and descend the moderately technical slot which has a keeper pothole section that can be bypassed. Return either Ramp Canyon or the Muddy River Gorge. Don't forget to climb the Knotted Rope Crack at the upper end of the canyon for some great views of the Keesle Country from the top of the reef (See photo at above left). Knotted Rope Canyon - This canyon requires one to ascend the Knotted Rope Crack route and walk the top of the cliffs west to the next drainage west of Quandary. This canyon has many big rappels up to 100 feet. The Chute - This is the long Muddy River narrows section between Tomsich Butte to the north and Hidden Splendor at the south. It is a hike in the Muddy River similar to the Muddy River Gorge but further north. It is a 15 mile hike and requires a shuttle. Don't do this if rain is forecasted. Music Canyon - Nice beginner technical slot with a few short rappels that can be re-ascended with fixed lines. Good access to the Chute with shuttle. Start this canyon on Hidden Splendor Road 4 miles north from the Quandary 4WD turnoff. This area located at the center of the Swell is the area to go when you are looking for summit bids and rock climbing opportunities as well as expansive views. 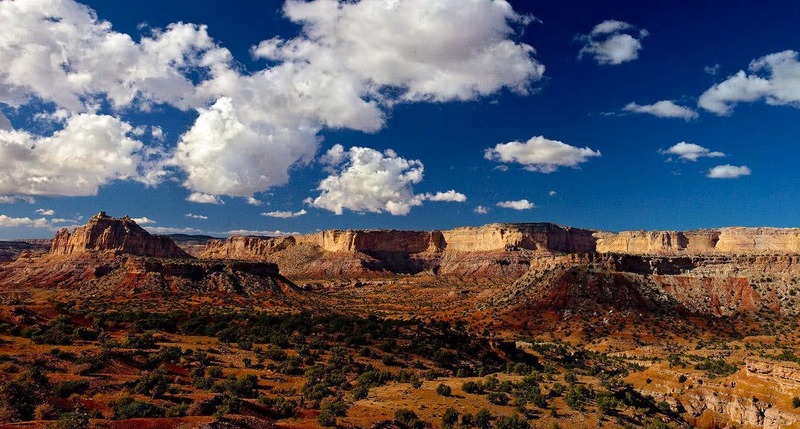 Located very close to I-70 many of the towers and canyons in this area are short drives from the interstate. San Rafael Knob - This is the highest point in the Swell at 7,921 feet. Take exit 116 off I-70 and head south on the rough Devils Canyon Road. Passenger cars won't get too far on this road. Four wheel drive vehicles can drive very rough roads almost to the base of the Knob. Scramble up from the north, the route should not exceed class 3. Upper + Lower Black Box - These canyons are the narrows of the San Rafael River respectively. Lower is deeper and better as it cuts through the Reef but both are great. Water flows year round and this is best done in summer when it's hot. Many people float this canyon. Beware of flash floods. Mexican Mountain - Located between the Black Box Canyons this peak is a crumbly low 5th class climb. Window Blind Peak - This is one of the better technical towers in the Swell. Located just west of Upper Black Box in the middle of the Swell it commands attention at 7,030 feet. The standard route is the 3 pitch 5.7 North Rib. The Wickiup - Nice conical tower just north of I-70 from exit 131. Either the south face, east ridge, or the west ridge are all scrambles. With a high clearance vehicle this peak becomes a 30 minute jaunt otherwise a 4 mile road walk each way is required. Temple Mountain - At 6,798 feet Temple Mountain reigns dominant in the San Rafael Reef area by Goblin Valley State Park. There are many scramble options to reach the low saddle area south of the summit but reaching the summit ridge to the north is low 5th class. Some argue whether the east or west point is higher. This is probably the best peak climb in the Swell.